The annual New Orleans Entrepreneur Week (NOEW), presented by IBERIABANK, hosts one of the largest crowd driven pitch extravaganza – The Big Idea. 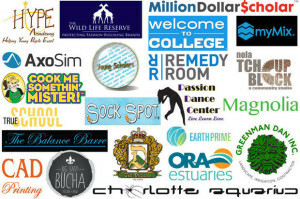 22 nominees are competing to secure a place in The Big Idea – Vote for TrueSchool via the NOLA.com voting platform. Nominated companies work across various industries – ranging from education to agriculture, all competing to win the grand prize of $25,000. This year, TrueSchool Studio, nominated by 4.0 Schools, has the opportunity to compete for the grand prize. 22 companies are nominated, but only 12 companies get to present at the Big Idea, and only three make it onto the stage for the final pitch. In order to make it to the Top 12 finalists, we need your help. Your continual vote each day will help us increase the impact we’ve made in education. Impacting over 550+ educators and empowering 20,000+ students, we continue to enable educators to drive innovation in their classrooms, schools, and systems. Help us further our impact and mission by taking 20 seconds to vote daily! 1) Visit the voting page at NOLA.com, scroll down, and select TrueSchool Studio. 2) Fill out the CAPTCHA and click Vote. Your support will make the biggest difference and an even greater difference if you share this article or voting link to your friends and family. Help TrueSchool Studio help educators help students. Vote now and share this post on your social media sites.